We are an award-winning sustainable architectural design practice, located in Edinburgh and Glasgow, with over 40 years expertise in residential, sustainable and community-led building design. Certified Passivhaus designers and Section 6 advisers/certifiers, we offer a one-stop service for all aspects of residential design. REM Associates is a small architectural practice based in Edinburgh, Midlothian providing a personal based architectural design and technology service for all architectural aspects of both urban and rural locations. A motivated practice, REM Associates is dedicated to producing high quality sustainable innovative and practical design solutions to an agreed clients brief and financial constraints. 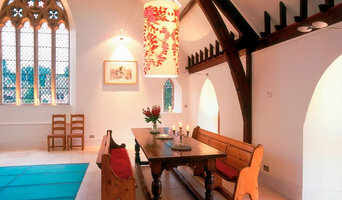 We have particular expertise with country houses, drawing on our heritage and understanding of rural life. This includes the refurbishment of historic properties and the design of new ones, along with their garden and landscape setting, outbuildings and services, and all the practical demands of a working farm or estate. Formed in 2000, Grant Bulloch's practice now has a growing reputation for a contemporary and design led approach to architecture. With a particular interest in sustainable and environmental design, his portfolio of work includes residential projects, community facilities, church buildings, commercial and industrial buildings. We successfully restore, transform and remodel Georgian, Victorian and modern homes throughout Edinburgh and Central Scotland. 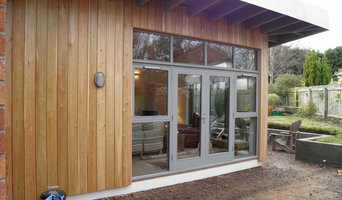 We also design new build homes and have been leading the way in ‘grand designs’ architecture for 20 years. We are a small team with big ideas and a passion for design and take pride in the personal approach we offer our clients, listening and adapting to help them achieve their visions. Taking care with design allows us to get the most out of each situation with the least intervention. Stripping away layers that have been added by previous generations brings homes back to life. Our schemes focus on opening up spaces, letting light in and thereby transforming houses into contemporary homes to suit today’s lifestyle. We are GLM. We are about buildings and people. Our dedicated and experienced team of architects, building surveyors and project managers deliver bespoke solutions to clients: insightful advice on condition; ingenious and skilful schemes to upgrade, repair and remodel buildings and dedicated project management. What sets GLM apart is our ability to offer a multitude of specialist skills as a single, managed service to the diverse disciplines of architecture, building surveying and project management. Whether you want a dream home or just more space from your existing house, you have come to the right place. 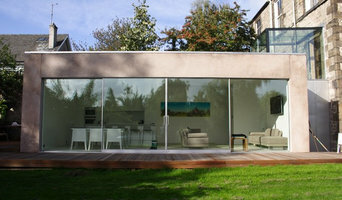 Capital A provide Architecture services in Edinburgh, the Lothian's, Fife and Dundee. Specialising in all aspects of domestic property design, from conversions of Listed Buildings, to Extensions and New-Build Houses, Capital A have a track record of delivering complicated projects on challenging sites. Since registering as an architect with the ARB in 1986 I have worked in private practice. From 1986 to 1993 I worked in Edinburgh on a variety of projects throughout Scotland. The projects included private and public housing; nursing homes; commercial shops and offices; common repairs and works to listed buildings and within conservation areas. 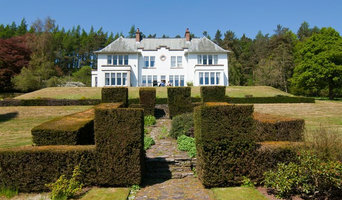 I set up in practice in Kinross-shire in 1993. Since then I have carried out a great variety of projects of all types. Being a country practice I have been appointed to convert many redundant steadings into homes. Other project types include new build one-off bespoke house designs; home alterations and extensions; work within conservation areas; commercial shops, restaurants and offices; sports club facilities etc. We are an award-winning Edinburgh-based architects and interior design studio working throughout Scotland and the rest of the UK. Our mission is to design buildings that have a positive influence on the way our clients live, work, and play. We specialise in one-off new builds, home alterations, interior design, urban intervention and swimming pools that put the emphasis on low energy use, maximising natural light and heat, and on the economical allocation of materials and construction methods. In short, we live and breathe sustainable design. Malcolm McLeman has worked with three Edinburgh architectural practices since qualifying in 1984. In 2001 he formed his own design practice and since then has concentrated on residential projects at the upper end of the market. He has also undertaken restaurant, hotel, town planning, and other commercial projects. His work is today concentrated in Edinburgh and the Scottish Borders where he is based. The practice is supplemented by additional design input from specialists depending on the complexity/nature of any particular project. These range from interior designers to town planning consultants. Malcolm's client base consists largely of repeat clients dating back twenty years, although new clients are welcome to the extent that workload permits. I studied architecture at the University of Nottingham. Graduating in 1996, I moved to London to work for Tasou Associates, concentrating on modern, small scale residential developments. These included Lonsdale Mews House, winner of the 2001 House of the Year in the National Homebuilders Design Awards. After a period teaching Architecture at a university in Chile I returned to the UK, moving to Edinburgh to work at Richard Murphy Architects in 2003. At RMA I worked on residential developments for Cala Homes, and as project architect on the UEL Clinical Education Centre. 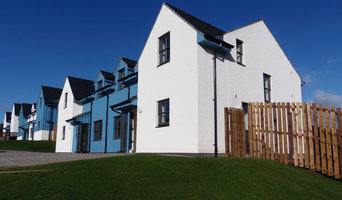 In 2006 I moved to Roxburgh McEwan Architects where projects included Lindifferron Farm Steading, winner of a North Fife Preservation Society Conservation Award; and Houses at Taynuilt, commended in the Argyll and Bute Sustainable Design Awards. I was made an Associate in 2008. Fernandes-Binns Architects was set up in 2014. Since then I have aimed to provide a service which makes the design and building processes as stress free as possible for my clients. I have experience in obtaining planning permissions and building warrants from many different local authorities. I can also help to integrate interior, lighting, and landscape design into a project giving a whole design package from inside to out. I will work to your budget to provide an elegant but affordable design solution. "We shape our buildings and then they shape us." Commissioning a new building is an act of profound optimism – for those that do so, often the most significant undertaking of their lives. We work regularly with clients for whom building is a once in a lifetime event, we have self built ourselves (both individually and as part of a collective group) and we understand both the joys and the tribulations that accompany that commitment. Ultimately we judge the quality of our work on the sense of delight promoted by our buildings in the people that use them. We try to work with a quiet reverence for the materials with which we build, the place where we build and the planet on which we build in a way that reflects the optimism and passion of the people that commission us. John set up John Kinsley Architects in May 2016. Our first major project, a Collective Custom Build residential scheme in Portobello, Edinburgh is currently on site. A Chartered Practice based in Edinburgh, we are an energetic design studio who have completed bold and inventive buildings across Scotland and beyond.